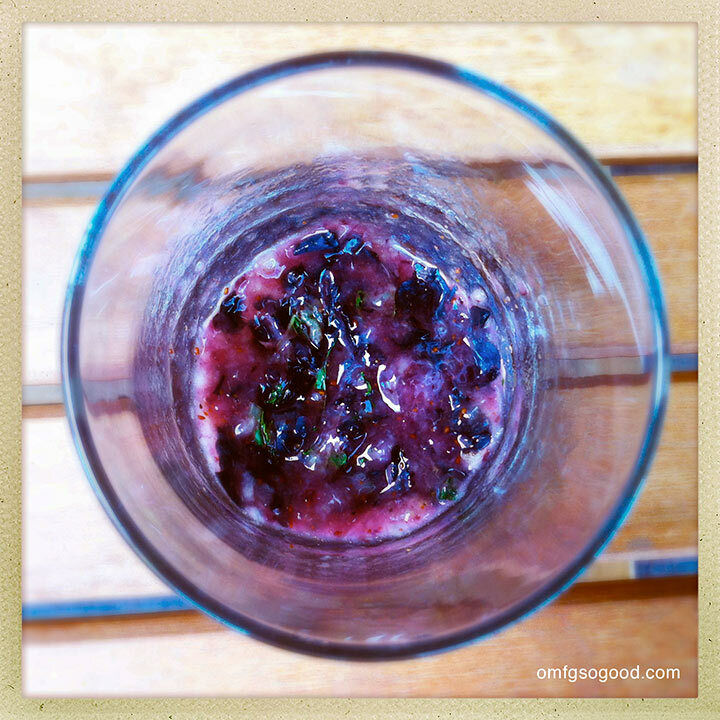 blueberry mojitos | omfg. so good. I love it when a plan comes together. 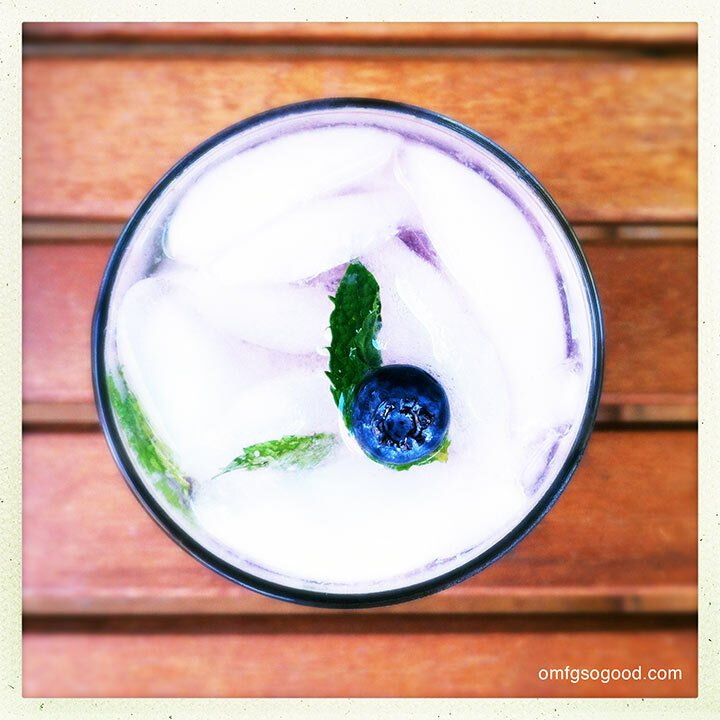 Especially when that plan involves fresh blueberries, homemade mint simple syrup, and ice cold silver rum. I also loved the original A-Team back in the day, but that’s a whole other story. Over the last few days I’ve been working on the perfect Blueberry Mojito recipe so I can eventually translate it into the perfect Blueberry Mojito Popsicle. The taste testing has been sheer torture. Le sigh. Refreshing summer beverage testing torture aside, I think we’ve got a winner. To make the mint simple syrup, combine the sugar and water in a small saucepan and bring to a low boil over medium heat. Simmer, stirring occasionally, until the sugar dissolves and the liquid becomes transparent. Remove from heat and add the mint leaves. Allow the mint leaves to steep until the syrup has cooled to room temperature, then remove the leaves and transfer the syrup to a glass bowl. Store covered and refrigerated for up to a week. 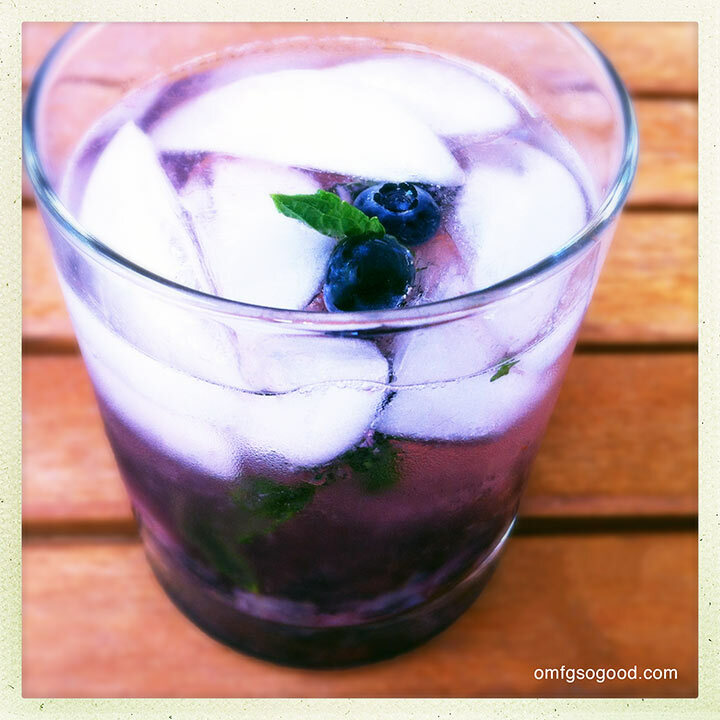 To make the blueberry mojitos, toss the mint leaves and blueberries in the bottom of a highball glass and squeeze the juice from half of the lime on top. 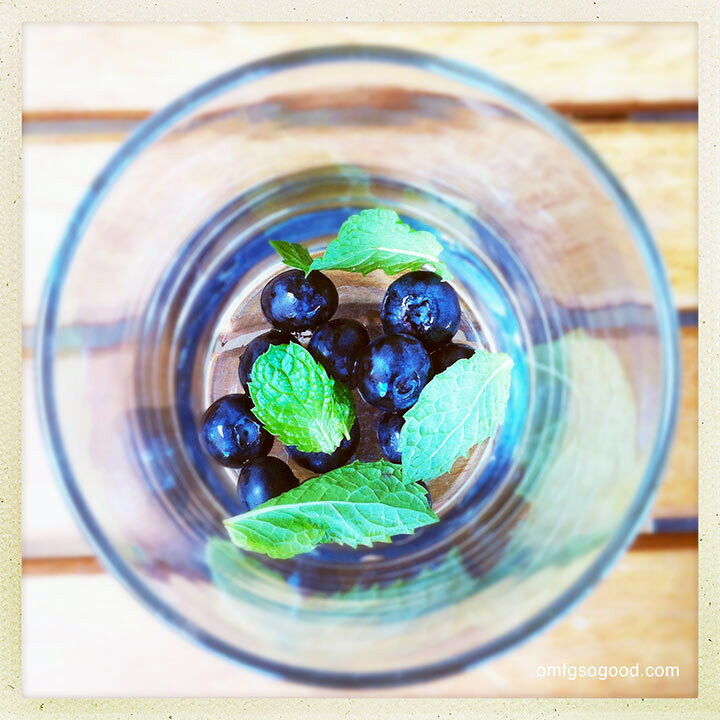 Muddle the mint and blueberries together until they’re good and smashed. Top with the rum and mint simple syrup and stir to combine. Add ice and top with the club soda. 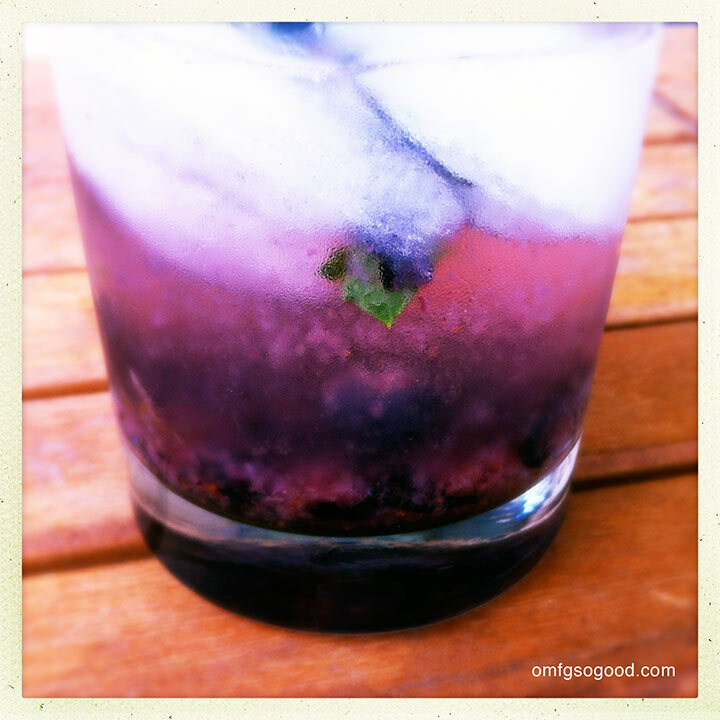 Garnish with additional fresh berries and a few mint leaves. what a delicious looking drink, so yum! Great post! Pingback: blueberry mojito paletas | omfg. so good.